Kosovo just turned 1 year old. It was on the 17th of February 2008 that our country declared its freedom and its desire to grow and stand on its feet. Today we celebrate that day. In 1 year, we have been recognized by 54 UN Member states, most of the EU and NATO. The year that is coming, will also be fruitful and prosperous. In the face of all challenges, our young nation has come out stronger and took its place in the world. The reality of Kosovo has been accepted by the World. Yet a lot remains to be done. To mark this occassion, KosovoThanksYou has started a new Twitter feed and prepared a celebration video. View the Kosovo Flag Around the World project. The KosovoThanksYou team will be covering the celebrations from Prishtina and will publish photos and videos as they become available. We wish you all a Happy Independence Day! The Republic of Maldives Missions to the UN in New York and Geneva have confirmed for KosovoThanksYou that the island Republic intends to recognize Kosovo in the near future. In a separate statement made for the press, the Maldives Foreign Ministry also confirmed Maldives intention to recognize Kosovo and establish diplomatic relations. The Maldives Missions to the UN in New York and Geneva stated that official recognition has not yet been offered to the Kosovo authorities. Due to the end of the business week, the Maldives missions could not confirm for KosovoThanksYou the timing of the recognition. We want to thank Maldives for their support and look forward to our countries establishing diplomatic relations in the near future. The Embassy of Republic of Bulgaria in Bern confirmed for KosovoThanksYou that Bulgaria recognizes the passport of Republic of Kosovo. Also, the embassy noted, citizens of Kosovo are required to have a viza in order to enter Bulgaria. We want to thank Bulgaria for the continued support and its role in stabilizing South East Europe. Travel of citizens of both Bulgaria and Kosovo to these countries is an important step for the economy and European integration of the Balkans. The Ministry of Foreign Affairs of Republic of Kosovo today confirmed that Panama has recognized the young Republic. The Foreign Minister of Panama,Â Samuel Lewis Navarro, today confired to the Ministry of Foreign Affairs of Republic of Kosovo that Panama has officiallyÂ recognizedÂ Kosovo and that the Verbal Note communicating this will be handed over to theÂ charge d’affairs of Republic of Kosovo in Washington, Avni Spahiu. Panama becomes the 54th UN member state to recognize the Republic of Kosovo. “All conflicts can be settled, and there are no excuses for allowing them to become eternal,” are the words of the Nobel Peace Prize laureate, Martti Ahtisaari, upon taking this well deserved recognition. Martti Ahtisaari was the first to tell the world that freedom of Kosovo will not spell the end of the world, or set a precedent, or bring the Balkans into a new war. Ahtisaari was the first to counter those who argued that if Kosovo people were free, that if 2 million citizens of Kosovo tasted freedom, somehow this corner of Europe would see its end. During the past 30 years, the former Finnish president has played an active role in resolving numerous conflicts, such as Namibian independence from South Africa in 1989, the Kosovo-Serbia war in 1999, and of course the Ahtisaari package for Kosovo independence. On February 2nd 2007, after almost a year of negotiations between Kosovar and Serbian authorities, the laureate Ahtisaari delivered a proposal for resolving the status issue for Republic of Kosovo. After another year of negotiations, the proposal’s conclusion was that Kosovo should be governed by its citizens, become an internationally supported state, with strong guarantees for minorities and a clear plan for building a modern and democratic European state. The Athisaari package was a realistic and unavoidable outcome that was accepted by the government of what was to be one day Republic of Kosovo. On 17th of February 2008, Republic of Kosovo declared independence. This makes Kosovo the state that gives the widest breadth of guarantees for its minorities in the whole of South East Europe. Today the Republic implements the Ahtisaari agreement on its own accord. Belgrade refused to accept this proposal, in the same manner it refused the autonomy agreement of 1999 in Rambouillet, France. The former Finnish president has given the world an important legacy. Ahtisaari’s work is proof that obstacles can be overcome through discussion, rather than bullets, and that justice must be the driving motive for making important world reaching decisions. He has also shown us that self-determination is not a catastrophe but an opportunity to build something that is long-lasting and good for all the parties involved, as is the case with Namibia, and one day also Kosovo. We would like to thank Martti for this. We would like to thank Martti for saying that our freedom is not dangerous for others. We need this freedom to grow and stand shoulder to shoulder with our neighbors and one day with the rest of Europe. In a proper Finnish realistic fashion, he has made the world a slightly better place. Today, Mr. Jeem Lippwe, Charge d’Affaires a.i. 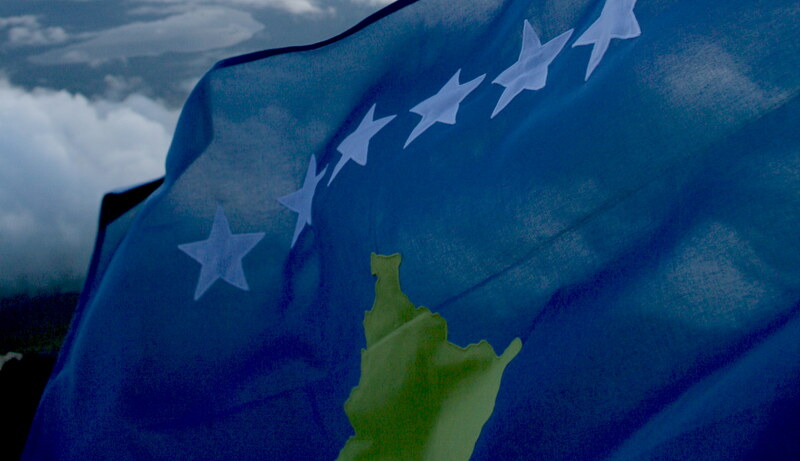 Federated States of Micronesia Permanent Mission to the UN notified Mr Hyseni, the Kosovo Minister of Foreign Affairs, that FSM has recognized the Republic of Kosovo. This news has been informally confirmed by the FSM Mission to the United Nations in New York for KosovoThanksYou and KosovoThanksYou team is waiting for the official confirmation by either party. Considering this recognition, Federated States of Micronesia becomes the 53rd UN Member Country that has recognized the new republic as an independent state. The news is confirmed by the Ministry of Foreign affairs of Kosovo. This site would like to express its disagreement at the Belgrade sponsored 6 point plan for deployment of EULEX and disappointment that some members of the European Union have shown support for the very idea that could divide Kosovar society. It is the firm belief of this site that the Belgrade sponsored 6 point plan for deployment of EULEX goes against the concept of multi-ethnicity, a concept that the international community has requested to be fulfilled as one of the standards for the provisional institutions of Kosovo before February 17th, 2008, and a concept that is enshrined in the Constitution of Republic of Kosovo. The Belgrade sponsored 6 point plan for deployment of EULEX also infringes and disrespects the Former President Ahtisaari’s plan for solving the Kosovar conflict after years of negotiations and compromise from the Kosovar side to reach a peaceful solution. The Ahtisaari plan is a package built on compromise, for all sides, for building a modern European state. The Belgrade sponsored 6 point plan for deployment of EULEX undermines democracy, the government, and the people, of Republic of Kosovo. It also puts in doubt the very existence of our Republic and its Constitution, two very important things for the people of Kosova. The government and the people of Kosovo have welcomed the idea of an EU Law and Justice mission, EULEX, to be deployed throughout Kosovo with the intention of supporting the Ahtisaari plan but also in accordance with the Constitution of the Republic of Kosova. As the world will see this week, the only power to have a say in our Republic is its people and Constitution. The Belgrade sponsored 6 point plan for deployment of EULEX is an opportunity for the rest to grasp the reality that is the Republic of Kosovo.